This hotel is 8 miles away from school. For more information and directions please click here. 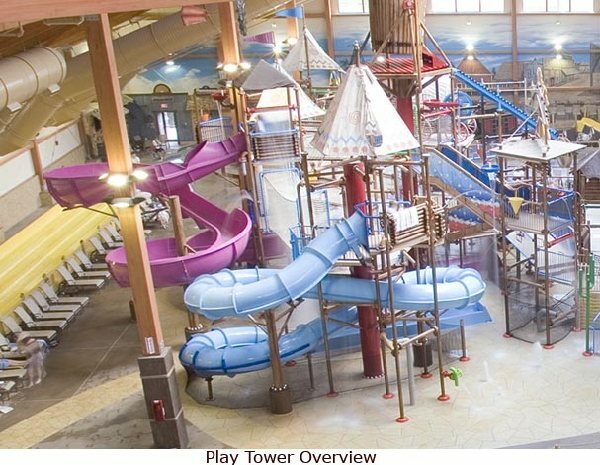 Our Host Hotel this year will be the incredible kid friendly Fort Rapids! Located on the same road as the state meet and only 20 minutes away. We have partnered with the hotel to get families a fantastic low rate per night. MAKE SURE TO MENTION OHIO YOUTH RUNNER OR MIDDLE SCHOOL TRACK & FIELD STATE MEET TO GET THE SPECIAL RATES. IF YOU HAVE ALREADY RESERVED ROOMS FOR THE MEET BUT FAILED TO MENTION THIS, PLEASE CONTACT THE HOTEL AND LET THEM KNOW. I-&70 to Hamilton Road South. Cross over Hamilton Road at end of exit ramp (appearing to merge onto I-70 East). Turn right on Truro Station Drive. Turn left on Hilton Corporate Drive. Fort Rapids Indoor Waterpark Resort on left. Turn left onto Hamilton Road, southbound. Turn left at first traffic signal (appearing to merge onto I-70 East), and make an immediate right onto Truro Station Drive. Turn left onto Hilton Corporate Drive. Turn right on N. Hamilton Road/OH 317 S.
Turn left at I-70 East Entrance Ramp (appearing to merge onto I-70 East), and make an immediate right onto Truro Station Drive. For more information please call 614-868-1380 or 877-33-SPLASH (877-337-7527) to speak with an attendant.